They said it would be fixed in under a week. It's now been more than two. Are you having problems too? 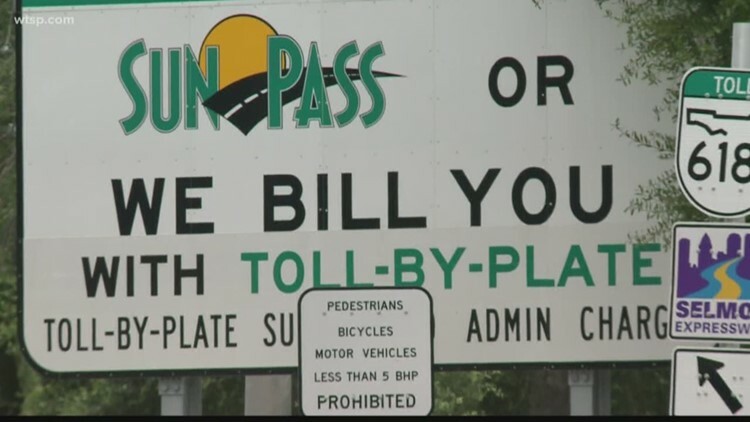 ST. PETERSBURG, Fla. -- More than a week after SunPass told customers its operations would be back to normal after "system maintenance," toll transactions are still not processing and customers' questions about delays still aren't getting answered. A Florida Turnpike Enterprise webpage detailing the planned maintenance, posted in May, has since been removed. Sunpass' website was restored last week, later than originally promised. But while customers can now check and add to their balances, transactions still have not posted since the beginning of the month. That means drivers cannot see how many toll charges they've racked up the last three weeks, nor can they access receipts they may need to document the tolls. Last week, the Florida Turnpike Enterprise sent an email to customers blaming the website problems on a "higher than expected...volume of customers trying to access the system." But there was no reference to the transaction back-ups. We apologize for the inconvenience to our customers during the SunPass system maintenance period and appreciate their patience while we work to resolve these issues. Our SunPass team has been working diligently to streamline the system and are adding resources to improve service levels including additional hardware, internet capacity, and telephone lines. We will add additional resources, as needed, to ensure high service levels. Regarding tolls, customer accounts will reflect each transaction that was incurred since June 1, 2018 once the Customer Service Center begins to post toll charges, which is anticipated to begin as early as the end of the week. Please note, the posting process may take a number of weeks. This is being done to avoid customer payment cards being charged all at once. Some customers may see multiple replenishments in one day if they had a high toll usage in a short period of time. We are committed to our SunPass customers and want to ensure that they are not negatively impacted by the system maintenance period. For any customer that was unable to replenish their account by phone, web, or other means during the maintenance period, or shortly after, who may have been assessed additional fees, please call the SunPass customer service center at 1-888-TOLL-FLA (1-888-865-5352) and speak with a representative who can assist you. 10News will continue to ask questions about when transactions will be posted and how it will affect Floridians.